It’s a cliché, but I have wondered why we use flat images to depict our multifaceted environments and experiences. 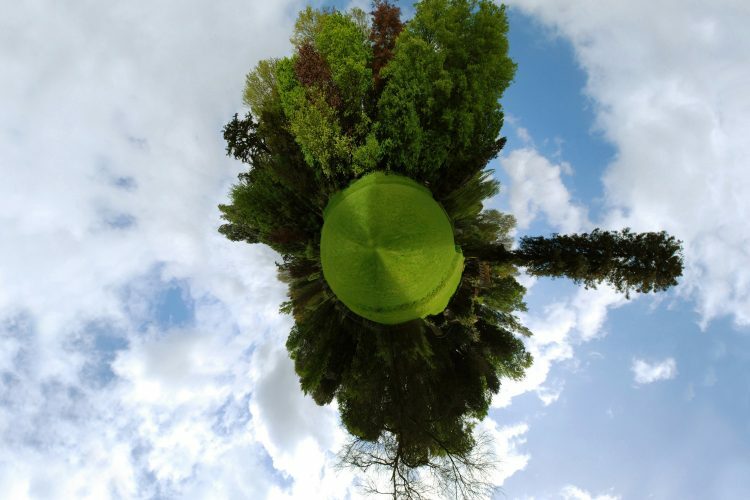 Over the past few months, I also noticed companies ranging from Facebook to Google (YouTube) and Twitter continuously rolling out multimedia features related to 360-degree imagery. So, when MIT Technology Review brainstormed ideas for its annual list of breakthrough technologies, I nominated 360-degree cameras—specifically, consumer-grade cameras priced less than $500 that take 360-degree photos and video with minimal fuss. Manufacturers started launching these cameras in 2012, but early models seemed experimental and attracted few buyers. Approximately 150,000 360-degree cameras sold worldwide in 2015, followed by 600,000 in 2016, according to the market research firm Futuresource Consulting. This year, the devices appear poised for a mass-market breakthrough, thanks to support from major technology companies, better hardware and software, and greater consumer awareness. Global sales are projected to rise to 1.5 million units in 2017 and increase to 4 million by 2020. I tried out five 360-degree camera models for the article—the Allie camera, Kodak PIXPRO SP360 4K, 360fly 4K, Ricoh Theta S, and Samsung Gear 360. While interviewing the camera makers, I learned a number of surprising facts, such as the similarity between smartphone components and 360-degree camera parts. I incorporated some of those details into the story, which you can read here, along with the rest of the 2017 “10 Breakthrough Technologies” list. Even though the article is finished, I intend to keep refining my 360-degree video skills. I’m excited to see the next generation of consumer-level 360-degree cameras, such as Kodak’s PIXPRO Orbit 360 4K, which will be more capable and easier to use than previous models. And now that Facebook, YouTube—and soon, Twitter—support 360-degree images (including, in some cases, live-streamed video) I think it’s an important medium for anyone who tells stories, especially journalists.